Amecystis laevis (Ulrich and Kirk, 1921). 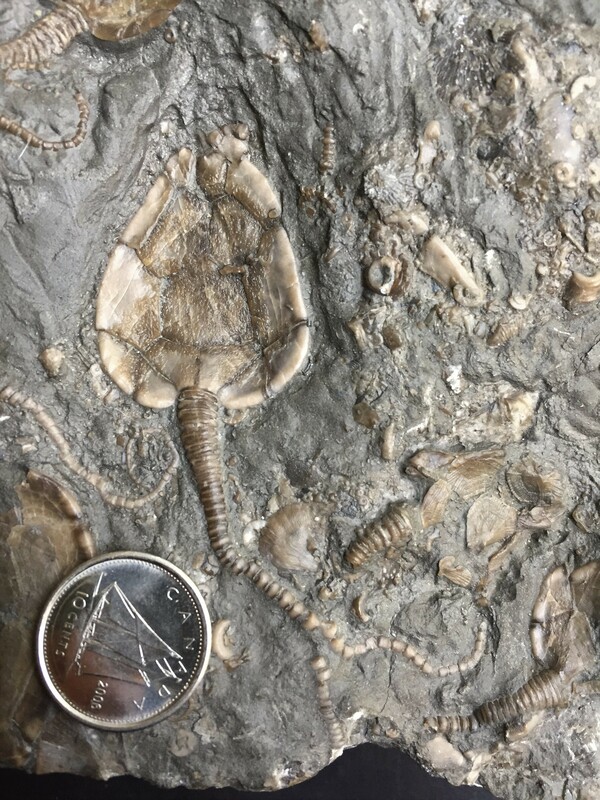 Upper Bobcaygeon Formation, Middle Ordovician. Simcoe County, Ontario, Canada. This specimen is among the ten specimens on a hash plate that was won in a bid and bought over Ebay. The specimen is missing the two tentacles at the top of the head. Length of the specimen was measured by using a measuring tape.